A thrilling re-creation of a crucial campaign in the Mexican-American War and a pivotal moment in America's history. In June 1846, General Stephen Watts Kearny rode out of Fort Leavenworth, Kansas, with a thousand cavalrymen of the First United States Dragoons. When his fantastic expedition ended a year and two-thousand miles later, the nation had doubled in size and now stretched from Atlantic to Pacific, fulfilling what many saw as its unique destiny. 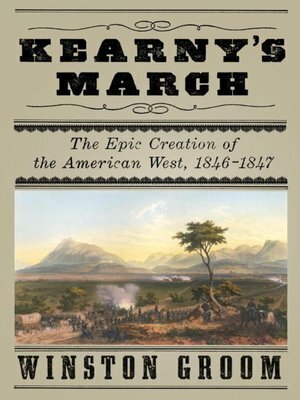 Kearny's March has all the stuff of great narrative history: hardships on the trail, wild Indians, famous mountain men, international conflict and political intrigue, personal dramas, gold rushes and land-grabs. Winston Groom plumbs the wealth of primary documentation—journals and letters, as well as military records—and gives us a sleek, exciting account that captures our imaginations and enlivens our understanding of the sometimes dirty business of country-making.